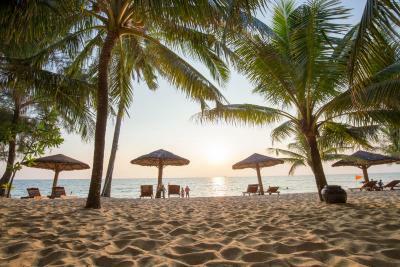 Lock in a great price for Thanh Kieu Beach Resort – rated 8.8 by recent guests! The pool is one of the best in the island. This resort is for couples. The part of the island it is on, Long Beach, is extremely quiet to the point where you start to wonder how all the resorts remain open. Beach front restaurants all along the water with romantic sunset setting...and no one around. It’s quite weird. Cool little resort though. Cheap beers. Average food. Awesome pool and view of the sunset over the ocean. Staff are helpful. Rent a motorbike if you have Expereince riding. Otherwise taxis are abundant to get around. The location is absolutely perfect. We really enjoyed how close the resort was to everything and that it had its own private beach and amazing pool. The staff where really friendly and eager to assist you when you needed some help with tours and good places to go especially the young girl working there. Our room had a wonderful view of the garden, beach and ocean. We had a relaxed and wonderful time. Everything was awesome. The grounds were beautiful as were the bungalows. The pool was awesome. They are a family run business and feed and watered all the tourists at a celebration of the pool opening day with all their whanau. It made us feel very privaledgedto be part of their family celebrations. The staff was amazing and the best part. They were kind, extremely hospitable, and friendly . They made my stay all the more worth it ! Great beach; I’d agree that it’s the best beachfront in the area. The rooms are very simple and clean. They also have nice front balconies. The outside shower is a plus. Just bring your mosquito repellent bc they’re out at night, wherever you are on island. Still, a little repellent, no problem. We also enjoyed the Buddha Cafe for good reasonably priced cocktails and you must try the Crab House closer to town (a bit expensive, but fantastic). 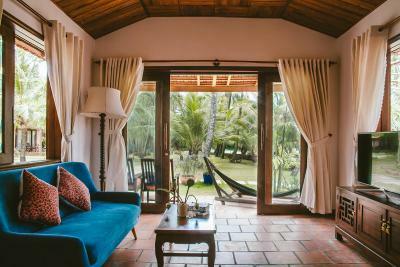 The garden was magnificent, our bungalow was very confortable just in front of the beach. 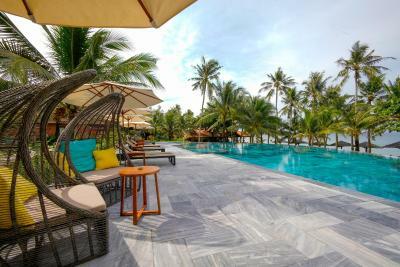 Thanh Kieu Beach Resort This rating is a reflection of how the property compares to the industry standard when it comes to price, facilities and services available. It's based on a self-evaluation by the property. Use this rating to help choose your stay! 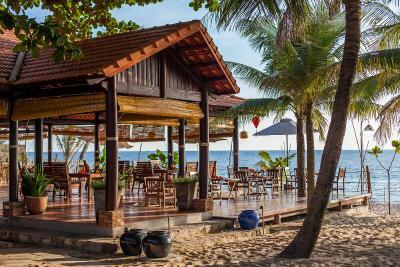 One of our top picks in Phú Quốc.Just steps away from the white sands of the famous Long Beach, Thanh Kieu Beach Resort offers red-brick bungalows with thatched roofs. 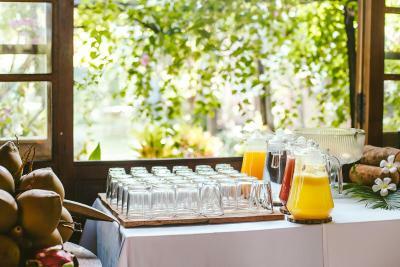 The resort has a garden and in-house restaurant. Guests can enjoy free WiFi access and private parking on-site. 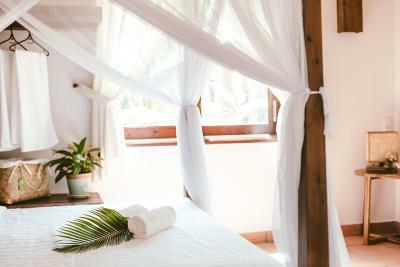 Airy rooms come air-conditioned and have a fan-cooled option. 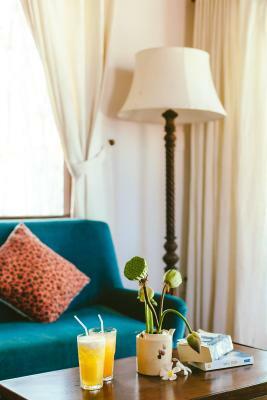 Featuring an outdoor seating area setting amid gardens, spacious rooms are also fitted with a private balcony and mini-bar. 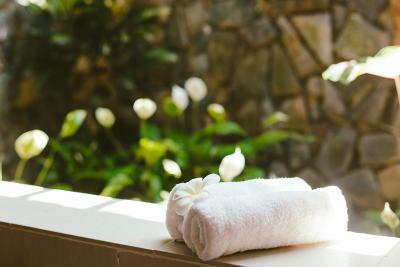 Private bathroom is equipped with shower facility and free toiletries. 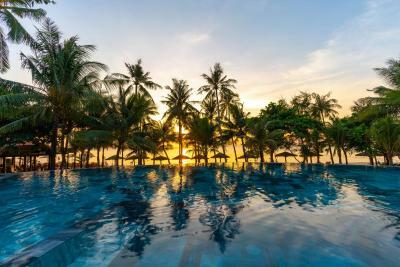 Thanh Kieu Beach Resort operates a tour desk and 24-hour front desk and where staff can assist you with luggage storage or travel arrangements. 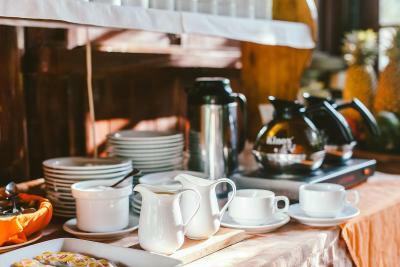 Other facilities at the resort include a sun terrace and a business center. 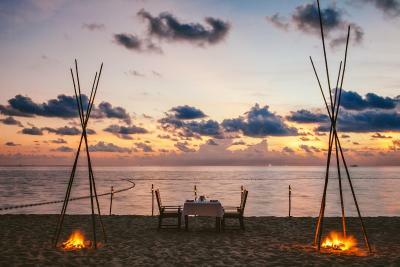 Guests can engage in diving, snorkeling and fishing activities. 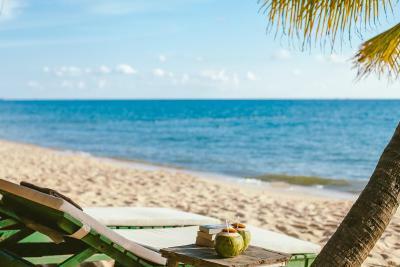 Bicycle rental is available for guests who wish to explore the island and a relaxing massage can be enjoyed afterwards. Coi Nguon Museum is 0.6 mi from the resort, while Sung Hung Pagoda is 1 mi away. 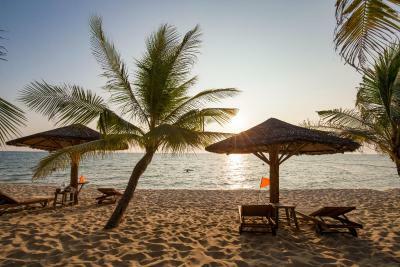 Phu Quoc International Airport is 2.7 mi from Thanh Kieu Beach Resort. 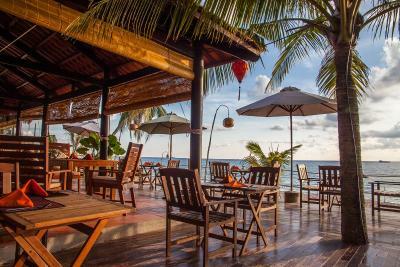 Open-air restaurant serves an array of authentic Vietnamese, seafood and European dishes, while Beach Bar has many choices of cocktails, beers and wines. 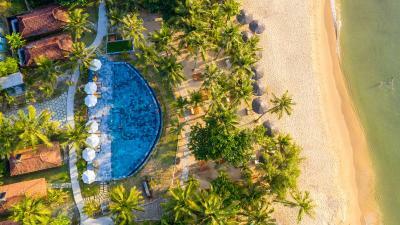 When would you like to stay at Thanh Kieu Beach Resort? 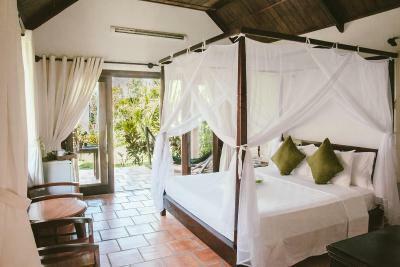 Enjoying sea views from its balcony, this stand-alone bungalow comes with a fan, a mini-bar and a personal safe. Private bathroom has a shower. 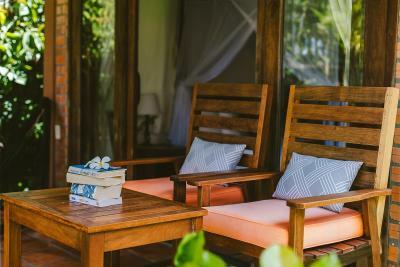 Enjoying garden views from its balcony, this stand-alone bungalow comes with a fan, a mini-bar and a personal safe. It has a private open-air bathroom. 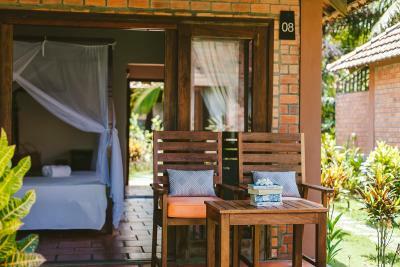 Enjoying garden views from its balcony, this stand-alone bungalow comes with a fan, a mini-bar and a personal safe. Private bathroom has a shower. This quadruple room has a balcony, sea view and mini-bar. 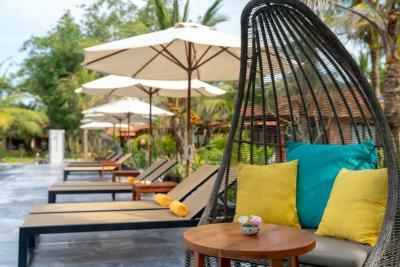 Our private sunny and windy beach will let you fly your soul into a peaceful and quiet environment after long working days. Whenever you feel hungry, our restaurant is always ready to serve with various kind of food from Eastern to Western one. 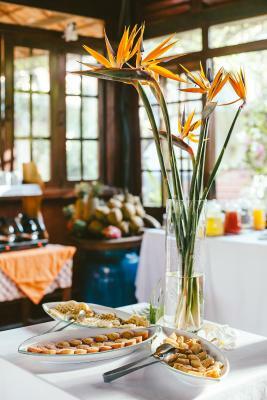 Every morning, you will wake up inside a beautiful garden covered with 100 percent of natural design. Sometimes you may lost in our green garden due to its beauty but don't worry because we will always be beside you. Our design is simple and natural, it is better of us to give you a warm natural feeling than give you a artificial feeling which you have seen too much in your country. Therefore, please visit us and enjoy your peaceful holiday. We will be always ready to serve ! 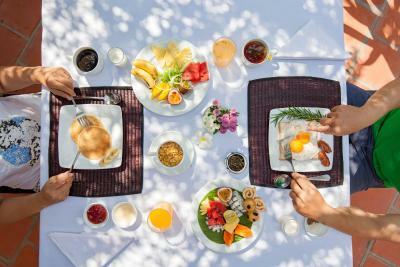 Area Info – This neighborhood is a great choice for travelers interested in food, beach walks and sunsets – Check location Excellent location – show map Guests loved walking around the neighborhood! 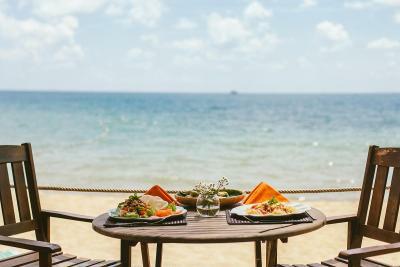 House Rules Thanh Kieu Beach Resort takes special requests – add in the next step! 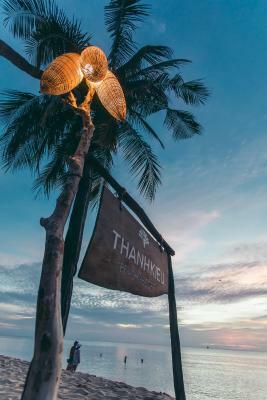 Thanh Kieu Beach Resort accepts these cards and reserves the right to temporarily hold an amount prior to arrival. The hotel provides a free one-way airport transfer. Guests who wish to use this service are kindly requested to indicate their flight details in the Special Requests box during booking. 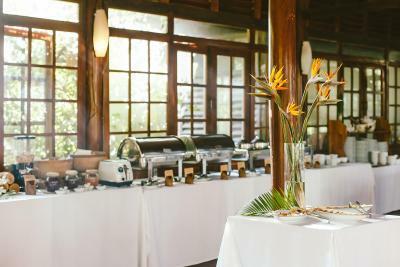 Please note that a Gala Dinner on 24 December, 2019 and 31 December, 2019 are included for guests staying over these dates. 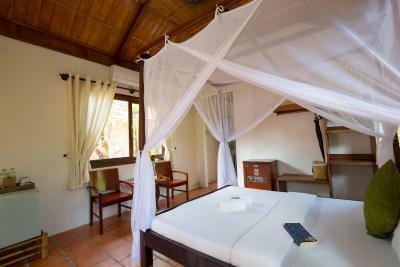 It’s a simple accommodation, though you have everything you need and it is a well maintained and clean resort. We loved it! No television in the room. But I guess we can live without it for a few days. Nice hotel in a good surrounding. Very quiet and right on the beach. Pictures do not give this property justice! 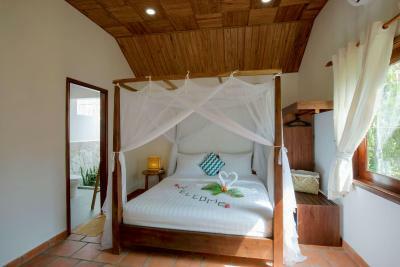 Comfortable and clean rooms, incredible pool, which is just by the beach. 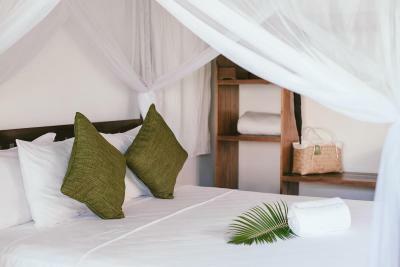 Beach is kept clean and tidy: beds are comfortable and there is good protection from the sun if you want it. Food at the resort's restaurant is average, although the fish that is cooked fresh on the grill in the evenings is lovely. The resort is about a 15 minute walk to the main city, but there are several scooter rentals nearby, and getting a taxi is easy. The breakfast is upgradeable but the fresh pho and also the fresh fried eggs and pancakes from the sweet lady are very delicious! the bathrooms are on one side open, so we had a lot of mosquito inside our room. The sea on this side of the island is not that clean like in the south-Westside of the island but that’s not the fault of the resort. We were a little upset about the birds in the little cages and hope that the owner will let them free because it’s not look that nice if he maybe thinks! 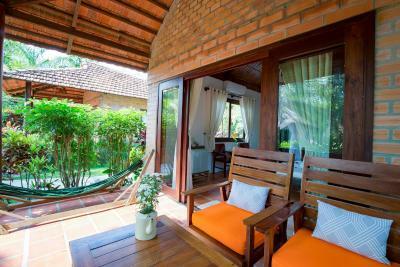 Very clean and comfortable Bungalow in a green resort with many plants inside. The staff were very kind and the communication in English was good. Also the Beach and Pool area is very nice and clean. If you want you get a motorbike for rent and there is also a laundry service. So many mosquitos in our room! 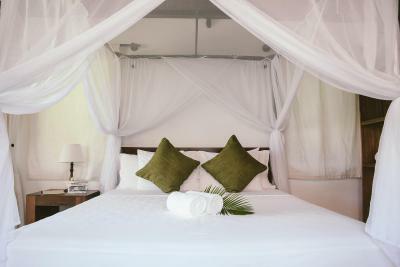 You get a mosquito- net over the bed, but it had holes and the doors and windows do not close enough to not let them in. I got bitten a lot! 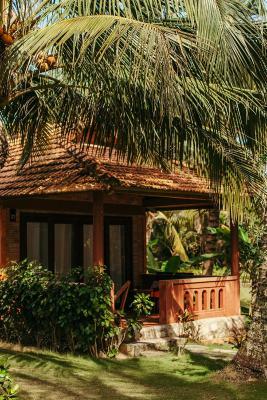 Beautiful Bungalows in a wonderful tropical garden and a really great and clean beach. There was always space in the schade. We loved it! The head waiter came to clarify our dinner order. When he discovered he had misunderstood, he got angry because the food was already on the grille. Maybe he should have clarified it first. We took the order and paid for it. He did seem to care about his service, but we could have done without his angry outburst, and the misunderstanding. We do only speak English though. There is no pool deck or beach chair service which would have been nice, and I think management is missing out on sales. 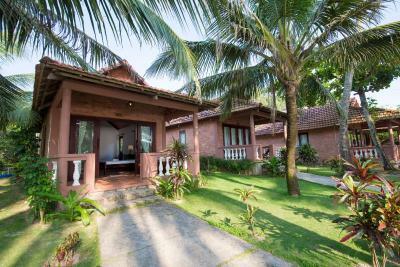 Beautifully located with a lovely infinity pool overlooking the private beach. Using cabins as rooms makes for a low density experience on the property, very relaxing, no crowds. We stayed in a garden view cottage and really enjoyed the location in the well kept garden area. 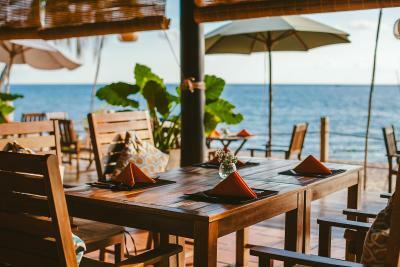 There is a good restaurant on site on the beach, and an excellent restaurant at the neighboring resort called The Spice House..
Great staff - in particular Jerry who worked at the bar and restaurant. He was friendly and very personable! The location is amazing, right next to the beach and a great pool as well! We stayed here for one week and we loved it. Very friendly and helpful staff! Nice and relaxing place and we really enjoyed the pool and beach area! 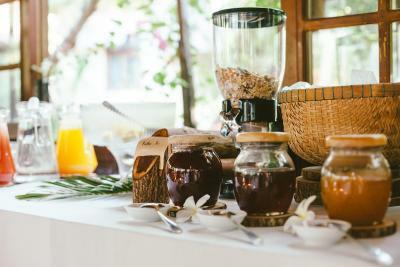 Get rid of the birds in cages at the breakfast restaurant. 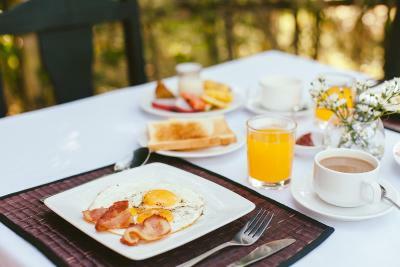 Staff were really friendly and helpful, good breakfast, fabulous pool. Nothing comes to mind, everything went smoothly. 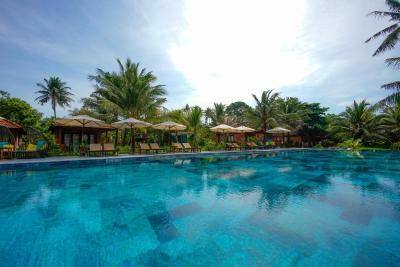 I only have good things to say about Thanh Kieu resort. Our flight was delayed by 3 hours but their promised shuttle service was still waiting for us at the airport. 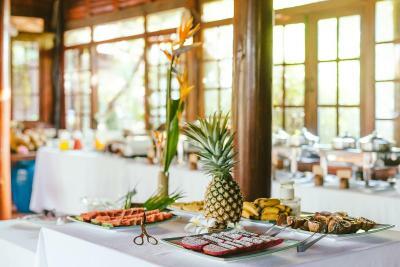 The service at the reception was very kind. Our room was quite sufficient given the price with its own terrace and the resort area was so beautiful and tranquil. 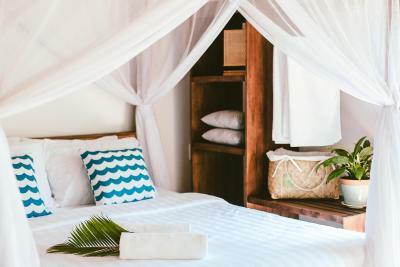 Perfect for a relaxing beach holiday. The resort has a wonderful pool area (infinity pool), a private beach and a beach restaurant so you can spend the whole day just enjoying. In the evenings it’s about 5-10 mins walk to the nearest big street full of restaurants and cafes. Would definitely come back. There were quite a few mosquitos in the room, but given the type of accommodation and the location I think this was to be expected. We thought the location was excellent. 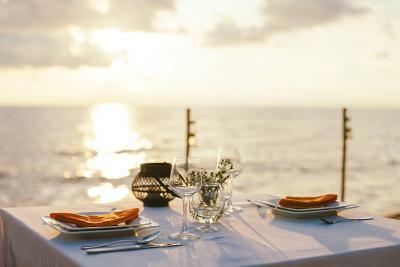 The accommodation is right on the beach and very close to a wide range of restaurants. Swimming pool is great! Nice pancakes at breakfast!